DogCentric’s Management Team is passionate about the pet industry. Our background includes years of dog walking, an assortment of dog training certifications, and experience training service dogs. DogCentric dog walkers are all employees of the company. We never use independent contractors which allows us to train our walkers on how to properly do their job. All walkers are bonded and insured by DogCentric, and have passed our extensive hiring process, including an application, phone interview, in-person interview, reference check and background check. We want only the best caretakers on our team! We thoroughly train our employees based on a specific set of policies and procedures as we strive to ensure every single walk goes smoothly and successfully. Our main priority is always to keep your dog happy, healthy and safe. A long-time client of DogCentric, Sheila purchased the business from founder Cheryl Staab Friedman in early 2012. She is excited to have the opportunity to combine her nearly 30 years in business with her passion for animals and build on the extraordinary record of client service and dog care that Cheryl has created at DogCentric. Sheila is a lifelong animal lover and is a supporter of many animal organizations. She and Greg live in Friendship Heights in Washington D.C. Rob grew up in the Springfield, MA and moved to Washington, D.C. over 25 years. About four years ago, he started a business called DependableDAD that provides house checking, technology support, light handyman services and more. In addition, he's been teaching after-school science and robotics classes. Prior to that, he spent more than 20 years in financial management positions in major corporations and government. Rob has always been a dog lover and the idea of providing a very important service to a very important family member(s) maps directly to his desire to help others. Rob lives in Chevy Chase, MD with his wife Ruth and two almost grown children. Rob joined the team in June of 2018. Megan joined the DogCentric team in April 2016 after gaining considerable experience working as a dog walker in the DC area. She was raised in Washington DC but left her hometown to pursue a BA in Romance Languages at the University of Vermont. After graduating, she returned to the area and worked primarily in customer service until she found her true calling in pet services. She has always been passionate about our furry friends, begging her parents to get her a dog her whole life. She is an energetic, positive, solution-oriented person whose hobbies include current events, gastronomy, interior design, and learning new languages. Megan and her three-year-old rescue pup, Jefe, currently reside in Washington, D.C.
Barbara grew up in New York City. When she got to DC to attend AU, she and her roommates adopted Samantha, a mixed breed puppy. All the roommates raised Samantha, and gave her unlimited walks and love. Then came rescue dog Tony, another mixed breed she fostered for a year in Georgetown. Her third dog was Charlie, a Bedlington terrier who had the full Bedlington hair cut every couple of weeks which made him resemble a lamb. She lives in Chevy Chase MD now after her career on Capitol Hill. Living in a building that doesn't allow pets, she is happy to be working with DogCentric again, and to be able to spend most of her day with dogs. Dan grew up in Ohio and came to DC about 8 years ago for a girl. It was a good move as they're now married and proud parents of 2 little boys. Recognizing that insurance is not his passion, he's been a stay-at-home day for the past 5 years. Now that his sons are in pre-school, he's excited to be back in the workforce combining his love of a good walk and quality time with dogs. Dan became part of the DogCentric team in March of 2019. Darcy is a stay-at-home mom and a part-time musician, and she has enjoyed being outdoors and the company of friendly dogs all of her life. She grew up in the Baltimore suburbs and has lived in the DC Metro area for more than 25 years. She’s had dogs throughout her childhood and adulthood, and now lives with a slightly-spoiled Labrador Retriever named Colby. Darcy became part of the DogCentric team in November of 2014. Darlyne has always had an animal or two or three in her family. She has a great love of animals and is very happy to be able to help give her clients' family members a happy break in their day. She was a "puppy raiser" for a guide dog foundation in Canada which was a very rewarding experience. Walking with dogs by her side makes her happy and always brings a smile to her face. Darlyne is also one of our regular walkers at the Humane Rescue Alliance. Darlyne became a DogCentric dog walker in May 2012. Greg has a Yorkie named Buddy and a poodle named Molly. He has also owned a Silky Terrier in the past. Greg loves being outdoors and he enjoys fishing, hiking and mountain biking. He likes having a job that incorporates his love for both the outdoors and dogs. Greg has been with us since March 2009. 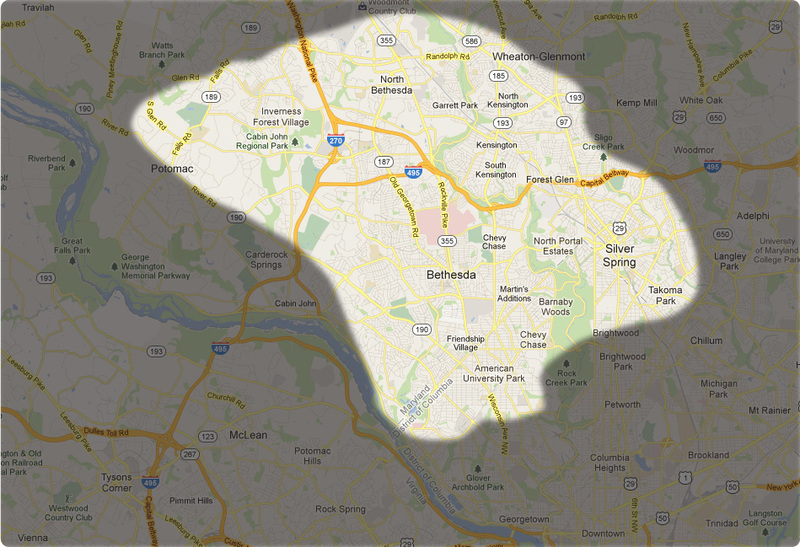 Jason was born and raised in Rockville, Maryland. He has a degree in Art Education from the University of Maryland but he also teaches and takes side jobs. He has been an avid dog lover his whole life and currently lives with a trio of dogs (Kirby- Beagle, Rex- shepherd mix, Claire-Alaskan Malamute) as well as a new kitten addition going by the name of Cooper. He has been dog sitting and house sitting as a hobby for the last ten years. Jason joined our team in September 2013. Keyoni was born and raised in Fort Washington Maryland. She currently resides in Greenbelt, Maryland. Growing up, she had one dog named Dean, and he is a malti-poo! She loves animals, being outdoors and staying active, so this is the perfect job for her! She has a background in customer service and attended massage therapy school.She is very hardworking, determined and friendly! Her hobbies include listening to music, cooking, photography, arts and crafts, researching, hiking and traveling! Lance comes to us from New York as a full-time, self-employed dog walker of three years. He has lived in a variety of places across the country, but originates from Prince George’s County, Maryland. He has been an advocate for the happiness and welfare of animals his entire life, and is thrilled to be able to incorporate his love for animals into a profession. Lance joined DogCentric in October 2017. Sam grew up and lived in Toronto, Canada before moving to the Greater DC area in 2003. He has always shared his life and home with dogs and other animals. He attended Cornell University and also University of Toronto for Graduate work. He has worked as a teacher and in case management, information and referral, and community volunteer coordination at food banks and other philanthropic non-profits. He is currently a freelance writer and researcher and is excited to be able to join the team and walk dogs with DogCentric. He lives in Silver Spring MD with his wife. They share their home with 4 cats, Corncob, Camille, Leo and Meechee, as well as George the Beta fish, but no currently no dogs, so he is especially happy to get to meet and spend time with new canine friends. Other hobbies include cooking, music, painting, and enjoying nature. Sam joined the DogCentric Team in July 2016. Susan is a graduate student at AU studying Public Administration and hoping to start a career in nonprofit work after she graduates in 2019. Susan grew up in south Mississippi where her family had two dogs and a cat. Her hobbies include reading, hiking, knitting, traveling abroad, cooking, and spending time with animals.While Susan doesn't have a dog currently, she does have one cat, James, who doesn't seem to mind when she comes home covered in doggy scents. Susan Joined the DogCentric Team in June 2018. Theresa is a lifelong Maryland resident. She has always been a dog lover but never a dog owner. She, her husband and high school aged son live in Rockville with two cats. She has a degree in Government and Politics from the University of Maryland. Dog walking allows her to enjoy the company of many dog clients and get in her daily dose of exercise. It is an active supplement to her very sedentary part-time publishing job for the Better Business Bureau which she has held for the last five years. Yukiko grew up in Yokohama, Japan and now lives in Rockville, MD. She was born in the year of dog and owned three dogs in her life (mixed breed, schnauzer and Dachshund). She is a handcrafted soapmaker and her favorite is Marseille soap. She enjoys walking with dogs of all shapes and sizes. Yukiko Joined the DogCentric Team in March 2018. Liam grew up in the Silver Spring area and just recently finished studying for his associate's degree at Montgomery College. He is currently in the process of opening a native plant nursery while working as a member of the Dogcentric team and pursuing a bachelors in chemistry. Dogs have always been an imperative presence in Liam's life and walking such a wide variety of wonderful pups is a dream come true! Trish has lived in the Bethesda area all her life. She has owned many pets over the years while raising her family, as her children are big animal lovers too. She has two cats which her oldest daughter fell in love with and brought home. She also owns a Norwegian Elkhound and a rescued German Shepherd mix who follows her literally everywhere! Trish loves having the opportunity to meet and interact with lots of different new doggy friends as a substitute walker for DogCentric. She joined us in October 2012.